Left to right: Takashi Nishikawa, Daniel J. 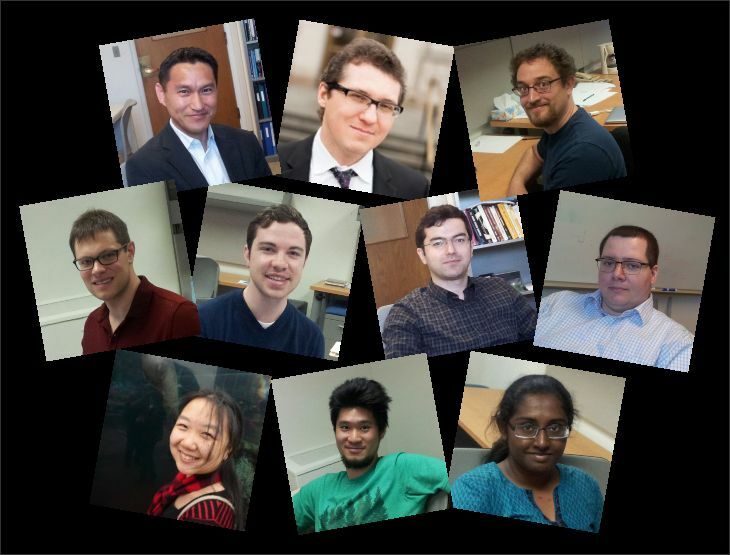 Case, Thomas P. Wytock, Pratyush Chakraborty, Daniel Rey, Chiranjit Mitra, Alex Mercanti, Zachary Nicolaou, Yuanzhao Zhang, Erisa Apantaku, Deniz Eroglu, Chao Duan, Adilson E. Motter. Top row, left to right: Takashi Nishikawa, Adilson E. Motter, Zachary Nicolaou. Center row: Thomas P. Wytock, Daniel J. Case, Hamed Valizadehhaghi, Ferenc Molnar. 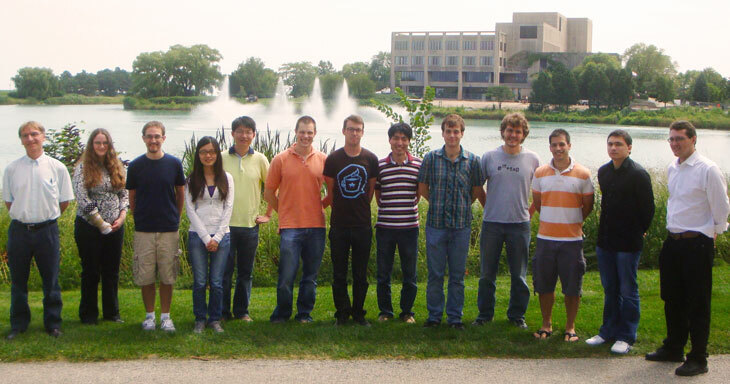 Bottom row: Vicky C. Yang (student collaborator), Yuanzhao Zhang, Phalguni Shah. Top row, left to right: Takashi Nishikawa, Adilson E. Motter, Daniel K. Wells, Yuan Lin. 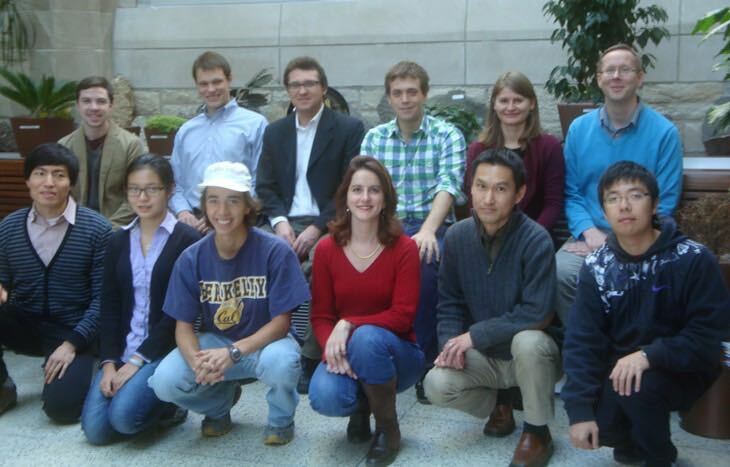 Center row, left to right: Luciana Z. Tytenicz, Ferenc Molnar, Thomas P. Wytock, Yang Yang, Youngsul Cho. 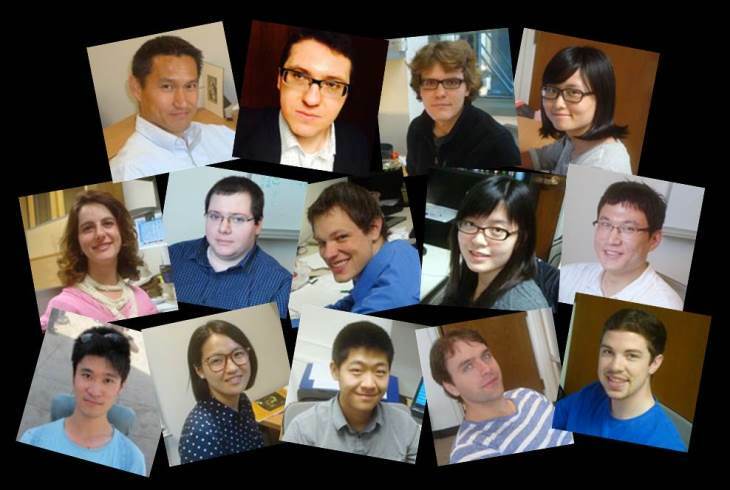 Bottom row, left to right: Yuanzhao Zhang, Liyue Zhang, Bohan Xu, Aleksandar Haber, Daniel J. Case. Back row, left to right: Kyle McCall, Thomas Wytock, Yang (Angela) Yang, Aleksandar Haber, Nicholas Boffi, Wei-Ting Lin. Front row, left to right: Adilson Motter, Rosangela Follmann, Daniel Case, Takashi Nishikawa, Luciana Zanella, Erik Johnson, Xiaowen Chen. Back row, left to right: Daniel Case, Thomas Wytock, Adilson Motter, Sean Cornelius, Rosangela Follmann, Eric Weeks (visitor). Front row, left to right: Joo Sang Lee, Yang (Angela) Yang, Erik Johnson, Luciana Zanella, Takashi Nishikawa, Hongzi (Tony) Mao. Back row, left to right: Adilson Motter, Zakary Whichard, Sascha Herrmann, Joo Sang Lee, Michael Schnabel, Thomas Wytock, Sean Cornelius, Elizabeth Hicks. Front row, left to right: Zachary Nicolaou (visitor), Daniel Cajueiro, Takashi Nishikawa, Yang (Angela) Yang, Luciana Zanella. Left to right: Jean-Régis Angilella (visitor), Elizabeth Hicks, Zachary Nicolaou, Yang (Angela) Yang, Jie (Rio) Sun, Thomas Wytock, Zakary Whichard, Joo Sang Lee, Sean Cornelius, Daniel Wells, Nir Yungster, Sascha Herrmann, Adilson Motter. Left to right: Ian Lizarraga, Adilson Motter, Zachary Nicolaou, Sascha Herrmann, Joo Sang Lee, Jie (Rio) Sun, Sean Cornelius, Thomas Wytock, Sagar Sahasrabudhe, Michael Schnabel, Nir Yungster. Left to right: Adilson Motter, Thomas Wytock, Sean Cornelius, Adrian Jinich (alumnus), Ian Lizarraga, Joo Sang Lee, Takashi Nishikawa, Zachary Nicolaou, Sagar Sahasrabudhe. 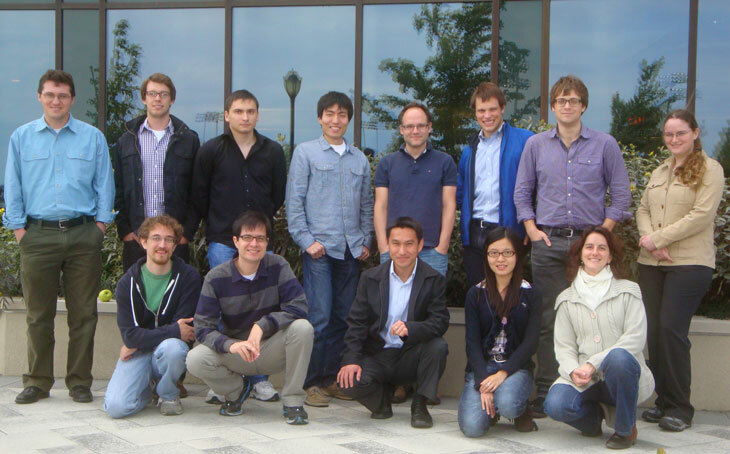 Left to right: Tracy Yu, Seth Myers, Sagar Sahasrabudhe, Adilson Motter, Nicole Carlson, Sean Cornelius, Joo Sang Lee, Eduardo Altmann, Dong-Hee Kim, Takashi Nishikawa.